Imagine that you have found your dream home. Your offer is accepted, you close the deal, you move in. Then, just as you've started to make the house your own, the mail carrier delivers news that turns your world upside down: There was a lien against a previous owner, and now it's been passed on to you. At first, Moore says, they weren't too concerned. “If we would have bought [owner's] title insurance to protect us, we wouldn’t have had to come up with that money as newlyweds and new homeowners,” Moore says. 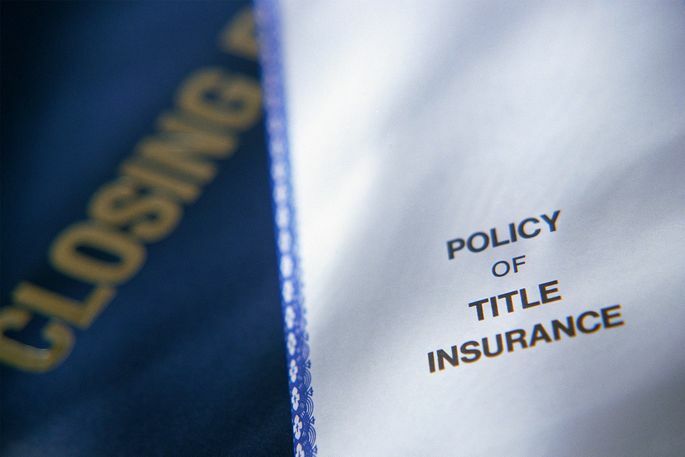 As Moore and her husband learned the hard way, there are two types of title insurance policies. Title insurance, in general, offers protection against any problems with the title, or legal ownership status, of the home. Any lien against a home or competing claim of ownership could jeopardize your financial stake in it, as well as your mortgage lender's. So the lender's policy covers the lender's stake, while the owner's policy covers your own. A bank will typically do a title search as part of the mortgage approval process to determine what, if any, legal claims and rights are attached to the house—and, ideally, prevent these kinds of problems. But no matter how thorough, a title search can’t rule out a relative or heir of a seller popping up with paperwork that appears to give them claim to a property. And sometimes, as in the Moores' case, there are paperwork snafus. Hence the insurance. If that happens, a judge could confirm the party's claim, which means you could be faced with buying them out, having to negotiate, or ... setting a bathroom schedule with a new roommate, says Marc Israel, president and chief counsel of MIT National Land Services, a title company in New York City. And say good-bye to that equity. If a judge rules in favor of someone staking claim to a house, the lender’s title insurance policy will only pay for court costs incurred by the bank, and it will reimburse the bank for what you owe on the mortgage if the sale is deemed null and void, Zawadzki says. An owner's title insurance policy will cover your financial losses, such as attorney’s fees and court costs, even if you have to move out of the house. Zawadzki says that even though a tax search might come up with no delinquent taxes on a property, that doesn’t mean a buyer couldn't subsequently receive notification of delinquent back taxes after closing. And that bill could be heavy—unless the buyer has owner's title insurance.